At the start of the year 2015, I wrote and shared my photography resolutions for the year. Point number 4 was “Produce My Own Photography Book”, something that I never done it before in my years of photography journey. When I decided to embark on this very personal and special photography adventure, I didn’t look back and trekked towards my goal and objective. In the months of January and February 2015, the progress was pretty alright from the two articles that I wrote down and shared with my supporters and readers. My work in progress and producing my draft photo book, they were key milestones, timeline and crucial learning experiences in producing my own photo book. The journey was a bit of ups and downs, frustrations, dilemma, which photos to curate, what’s the flow and placement like etc etc. Meeting and chatting with photographer friends helped me to reach my mid way point of producing and printing my draft photo book that defines my own personal and unique photojournalist style. A very talented fellow photographer, Zinkie Aw, she introduced to me this particular printer, that a group of photographers in Singapore worked closely with. That printer is Grenadier Press Pte Ltd and after the email introduction by Zinkie, I went down and had a chat with them on printing my personal Hokkaido Black and White Landscapes Photo Book. They are very friendly, professional and very knowledgable in the printing line. There is one X-factor that stands out, that is they understand photographers and knows what photographers want. During my first appointment with them, I had a chance to view some of the photo books printed by Grenadier Press for some of the established and well known photographers in Singapore. From that day, I know my photo book printing is in good and experienced hands! They are willing to share and guide me, this newbie in printing photo books. I confessed that I made some stupid newbie mistakes and the folks from Grenadier Press helped me a lot to get it right for my photo book print when I met them for my second appointment to submit my draft photo book layout/write up/photos in for printing. That is something that I am very grateful and thankful for, their guidance and priceless assistance in getting my first photo book printed! Photographers in Singapore, if you are planning to print your own photo book, I highly and strongly recommend Grenadier Press, here is their website and go contact them! 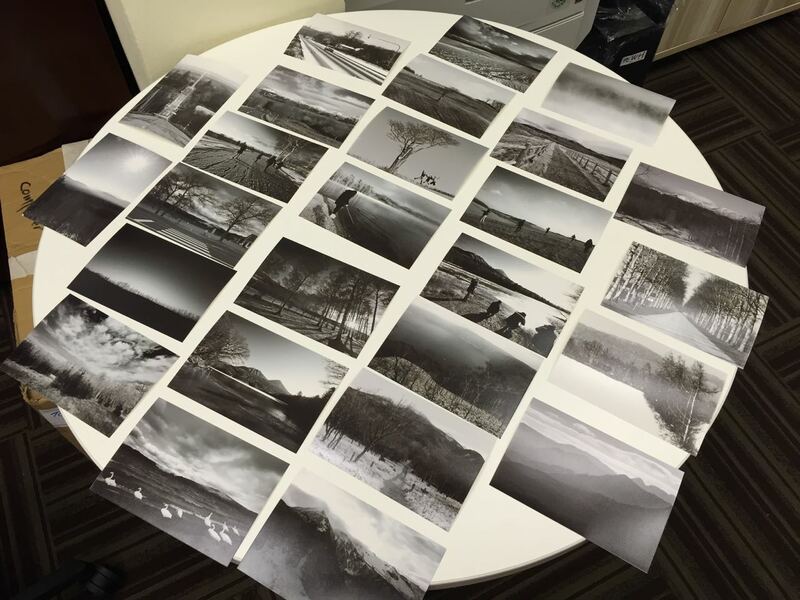 After I submitted draft photo book layout/write up/photos in for printing, Grenadier Press took over the process. Since I wasn’t rushing for the photo books to be printed, we had a good time frame that both parties can work on. 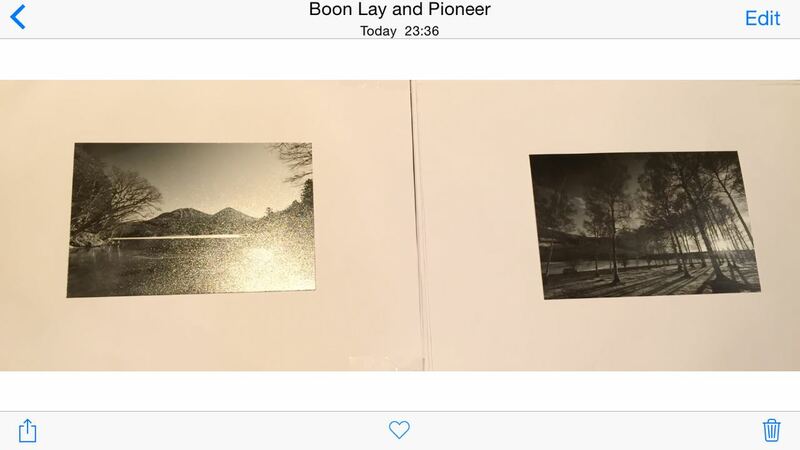 Once they got the final final draft up, I made an appointment to go down for the final confirmation of my photo book prints, inspected each photo book page proof, signed and acknowledged. That was the moment, the final lap of my photo book printing adventure. Finally, a message arrived from Grenadier Press, my photo books are ready! Yes, I have produced my FIRST Photo Book! 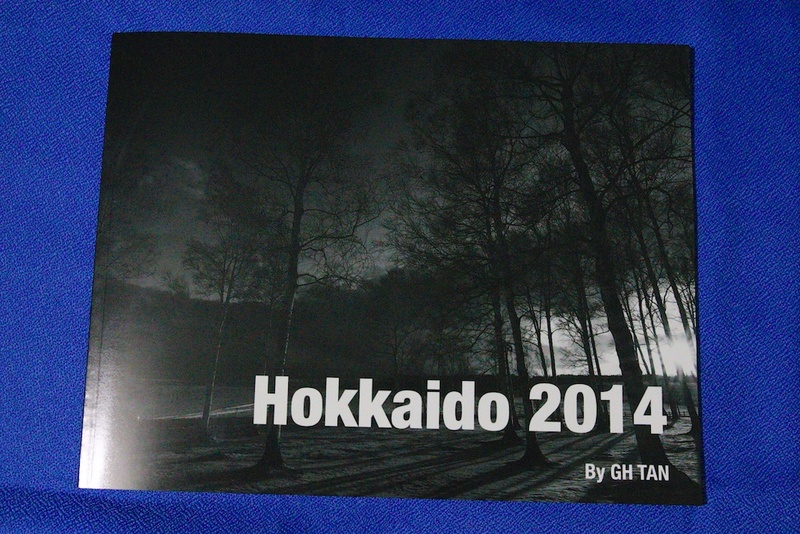 My personal Hokkaido Black and White Landscapes Photo Book. As much as I wanted to rush down and collect my photo books, my work commitments did not allow me to and I waited for about a week plus before collecting them. The moments, feelings and emotions when I collected my photo books from Grenadier Press, it’s a mixed bag comprising all of the above. I was proud yet humbled, happy beyond words when I collected 50 of my photo books, they are my very own photography style and artwork. It’s not perfect, there is definitely room for improvement in terms of producing my next photo book. The support and encouragement from friends were great, I am very grateful and thankful for their continuous support! I would like to say a big Thank You to the following photographer friends for their inputs/opinions/help in the curation of photos, flow and lay out of my photo book. My write up and photojournalism story telling were edited by Ms. Chrissy Priya and Mr Michael Tay, both were very strong in their English language proficiency. 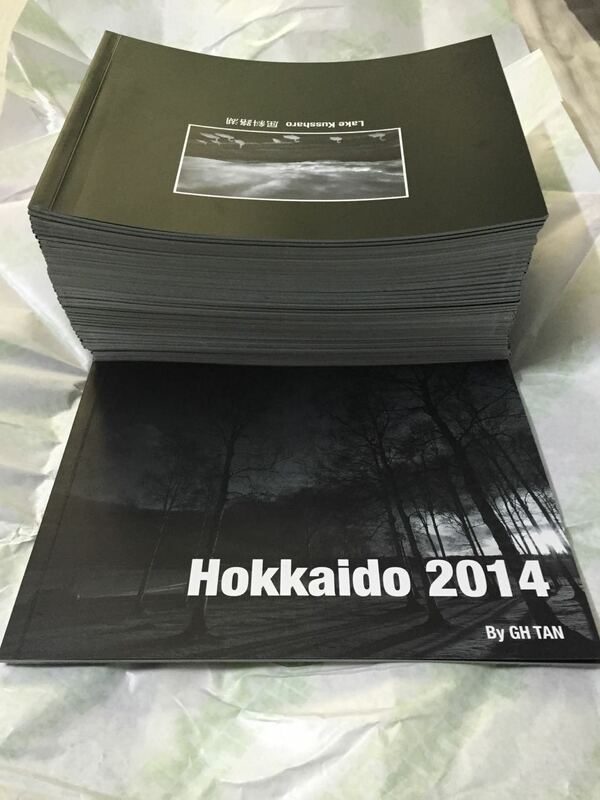 Thank you very much, Grenadier Press for producing and printing my FIRST personal photo book! My goal and objective is 3 photo books for 2015, I have to work a lot a lot harder to achieve producing and printing my 2 other photo book!